Chances are, you haven't heard much about this since college, so let's dig a little deeper. Data structures and algorithms are tow of the most important topics for programmers. The best thing about them is that they never get out-of-date and any investment you made in terms of time and money will pay rich dividends. I have also found that people knowledgeable in algorithms and data structures are often better programmers than others. They tend to improve your programming skills and coding sense and that's the main reason I suggest all kinds of programmers, from junior to senior to spend some time revising, refreshing and honing your data structure and algorithm skills. Most of us first heard about them in school and college but didn't understand at that time. At least I can say that for me. I first heard about array and linked list on my engineering college. In that time I didn't know what the use of an array and linked list was because most of the questions we faced were based on theoretical knowledge without any practical application. For example, the difference between an array and linked list was a sure shot one to appear in exam and just mugging the answer was enough to score well. It may be possible that you might have better learning than myself in your college and school but that's a general pattern. I first realized the real use of array when I was writing games for mobile devices in my first companies. I was tasked to write a board game and then I found that I can use a two-dimensional array as a board and just store 1 or 0 to indicate whether a particular place is occupied or not. That was my first real-world experience with a data structure and how they play roles in real-world applications. I know, it came quite late and I was lucky to found my way without knowing much about data structure, algorithms, and programming in general but that was the ting of past. 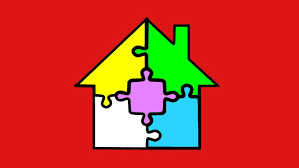 Nowadays, the environment has become very competitive and you just can't afford to miss these important concepts. You also need to be more proactive with your learning then the past generation was. I told them that data structure and algorithms are general programming concepts and once you are familiar with concepts you can work in any language but with my little interaction with them, I realized that people know more about a programming language like Java or Python than a data structure like a linked list or binary tree. That's why it works best for them if data structures and algorithms are explained and implemented in the language they know better. That makes sense to me and that's why I have included data structure and algorithm courses on these three programming languages. 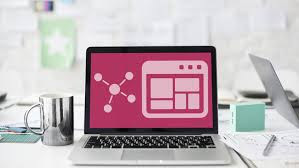 But, even if you don't use those languages you can still benefit from these courses because ultimately data structure and algorithms are generic and they are just concepts which can be implemented in any language. This is one of the most comprehensive courses on data structure and algorithms using Java. It covers both basic and advanced data structure like Arrays, Linked Lists, Trees, Hashtables, Stacks, Queues, Heaps, Sort algorithms and Search algorithms. If you are a Java developer and looking for an awesome data structure and algorithm course then you should join this. It's comprehensive but at the same time both interesting and challenging. I bought this course for just $10 on Udemy's flash sales which happen every month and I am amazed by its quality. The reason I bought this course because of Colt Steele; he is one the best instructors in Udemy and his courses are just awesome. Having attended his course "The Web Developer Bootcamp," I was sure of the quality and when I see he has covered data structure and algorithms I couldn't resist myself from buying this course. As Colt mentioned, this course crams months of computer science and interview prep material into 20 hours of content. He covers the exact same computer science content that has helped his bootcamp students ace interviews at big tech companies like Google, Tesla, Amazon, and Facebook. The course not only covers basic data structures like an array, linked list, and binary tree but also covers "advanced topics" like heaps, graphs, and Dijkstra's Shortest Path Algorithm. You will not only learn about data structure but also about how to analyze your code's time and space complexity using Big O notation and techniques to reduce them by making space-time trade-off. This is the best data structure and algorithm course I have come across for Python developer. It provides a nice and simple guide to implement the most up to date algorithms from scratch: arrays, linked lists, graph algorithms and sorting etc. You will also learn about binary trees, balanced trees like AVL trees and red-black trees, heaps including heapsort algorithm, and associative arrays and dictionaries. The course also covers some of the advanced algorithms like shortest path algorithms, Dijkstra's algorithm, Bellman-Ford algorithm, Kruskal algorithm, spanning trees etc. On sorting algorithm, it covers basic ones like bubble sort, selection sort, and insertion sort, along with quicksort and the merge sort. It also covers non-comparison based sorting algorithms like Counting sort and Radix sort. 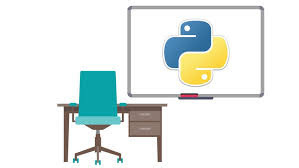 All the code examples and problems are implemented using Python programming language so that you don't have any difficulty in understanding how to implement them on your own. This one is another awesome course to learn data structure and algorithms which I have attended and found good. In this course, you will learn about the core data structures and algorithms used in everyday applications. You will learn about the trade-offs involved with choosing each data structure, along with traversal, retrieval, and update algorithms. This is part 1 of a two-part series of courses covering algorithms and data structures. In this part, we cover linked lists, stacks, queues, binary trees, and hash tables. 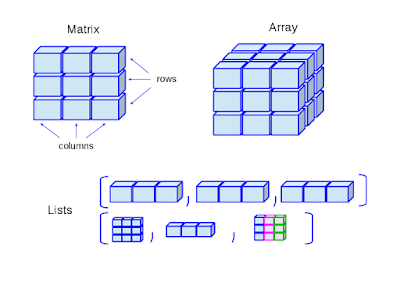 I suggest you go through both parts to understand both basic and advanced data structure. As the name suggests this course is for beginners and takes you from 0 to 1. The course is delivered by a team of instructor with tons of experience at Google, Microsoft, and Flipkart. 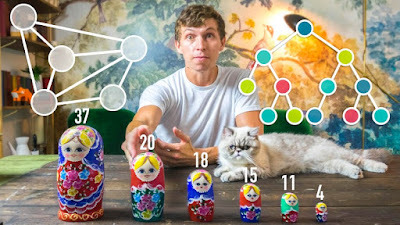 The best thing about the course is that it's an animated, visual, and spatial way to learn data structures and algorithms, which many of beginner will find both interesting and easier. I have seen many programmers struggle to pick topics like recursion, data structure, and algorithms because they can't visualize what's happening, this course help to solve that problem by using technology and creativity. If you are a beginner and having a hard time understanding data structure, algorithms, and recursion then this is the perfect course for you. That's all about some of the best courses to learn data structure and algorithms. I have included courses for both Java and Python Programmers but as I have said before, data structures and algorithms are language independent topic. Once you know how a particular data structure or algorithm work, you can implement in any programming language of your choice. Thanks for reading this article so far. If you like these data structure and algorithm courses then please share with your friends and colleagues. If you have any questions or feedback then please drop a note.